Extra, extra, read all about your ancestors! Wouldn’t it be nice if it were that easy? If you just had to pick up a single newspaper to discover all of the highlights of your ancestor’s lives? Well, you can, but you have to write it first. So, let’s jump into another way to ‘Think Outside The Book (TOTB)’ when it comes to telling your ancestors’ stories. 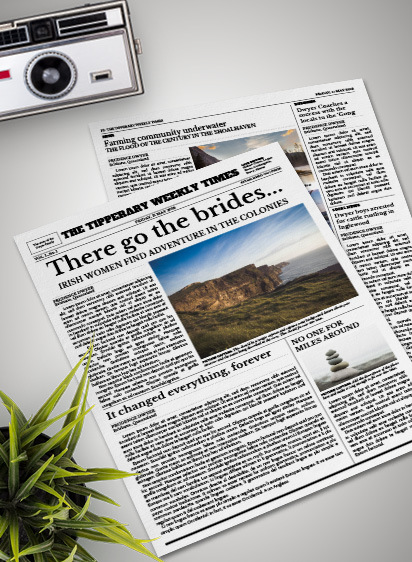 This month, I’m exploring the idea of writing a family history newspaper where you are the star reporter! When I was about 11, I wanted to publish a newspaper. Obviously, I’d read about some similarly aged children doing just that, so I wanted in. Armed with my sister’s trusty typewriter, as well as my older brother’s input I gave it a shot. We created one copy of the first issue, and the sale price was 1 cent. After all, it was 1983 and an unknown newspaper at the time. Also, two copies would have been pushing my limited typing skills! We ended up making 3 or 4 issues, but the limited run meant we could only ‘hire out’ our one copy. Everyone felt that 1 cent was a steep price to ‘borrow’ a paper that heavily focussed on Mum’s gardening skills. Needless to say, that venture didn’t work out. Undaunted by this early failure in the newspaper world, I’m back to try again. 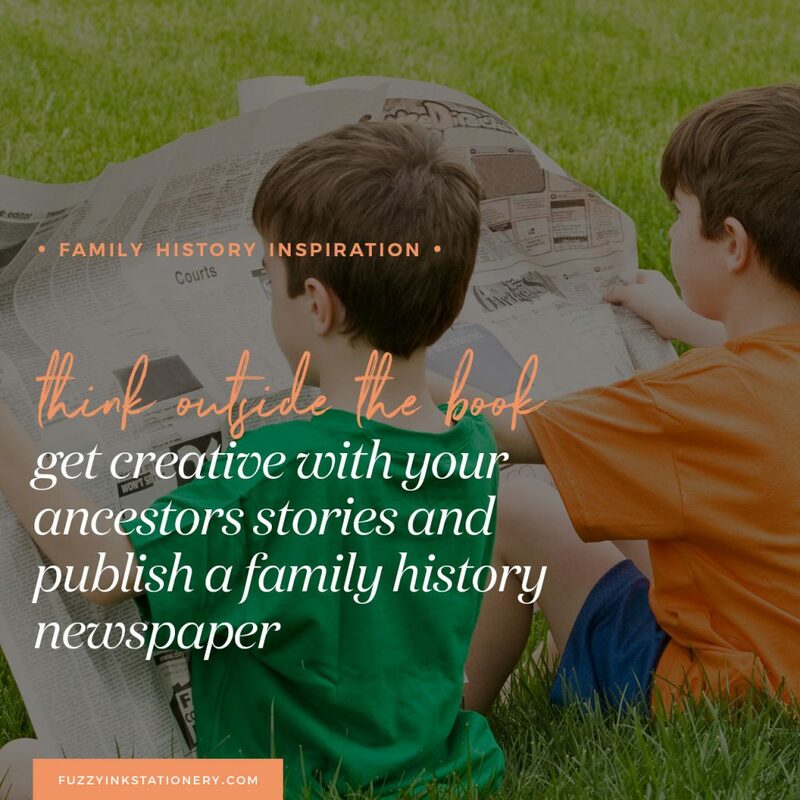 I love the idea of creating a family history newspaper. It offers a lot of flexibility for storytelling and would make a fantastic keepsake for your relatives. Why a family history newspaper? Both of those descriptions sound just like a written family history to me. Well maybe not the editorial cartoons but it could if you are feeling artistic! As you can see from the definitions, there is a lot of flexibility about what to include in a family history newspaper. And keep in mind that newspapers have changed a lot over the last century. Compare a 1918 paper like this one at Google News, with a recent copy of your local newspaper. It’s not just that the format is different, but also distribution. So don’t feel that you have to create a broadsheet. You could produce a traditional printed document in any size, or a PDF to email to your relatives. 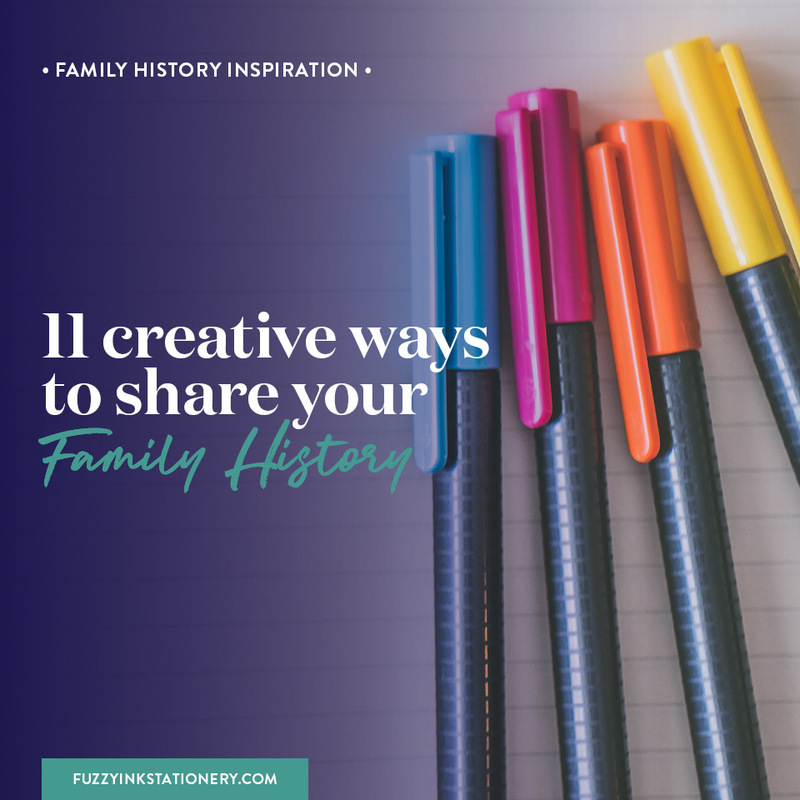 And, as with the family history diary idea, you could create a blog. Or you might want to do all of these options to reach a broader audience. Another thing to consider is that you don’t have to write it all yourself. Or even publish a paper that is just articles. It’s the perfect format for a collaboration where you can get your relatives to submit pieces as well. Start handing out those by-lines! Particularly if it’s something you are creating for a family reunion. How practical is a family history newspaper? Before we get too excited about the content, let’s get practical and talk format. Newspapers have typesetters and giant printing presses, while we have Microsoft Word and our Inkjet printer. Is this something that is even feasible? 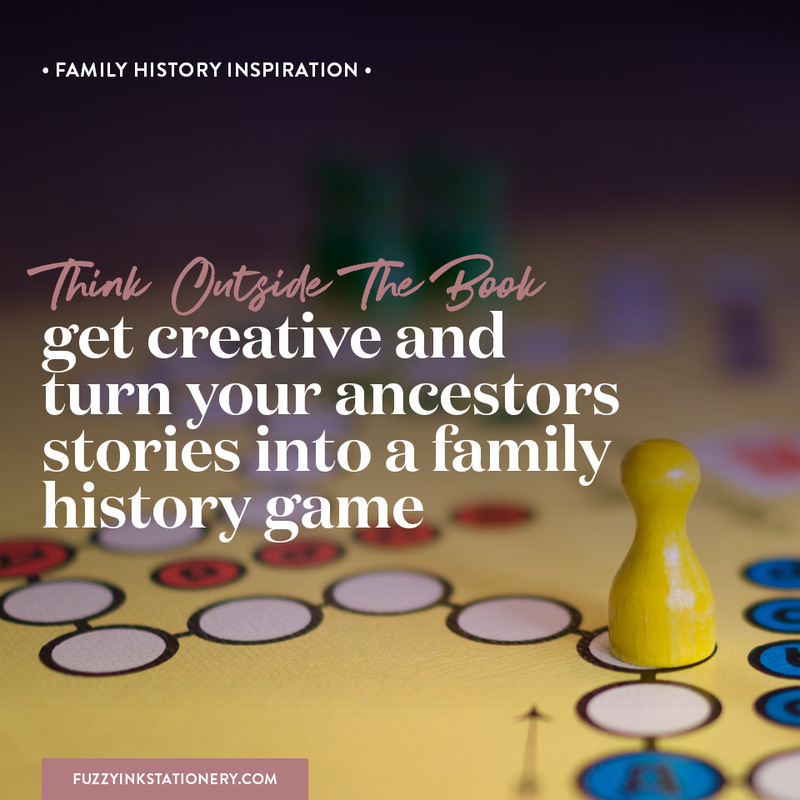 Remember that we are challenging ourselves to think differently about our written family histories. So, let’s include how we see newspapers in that challenge as well. If people can publish news on the internet, then we can absolutely produce our paper as folded 11 x 17” page. Or even a folded A4 sheet. And don’t forget that you can take the digital path of a PDF or blog if you prefer. The only limit to the ideas for content is your imagination. There is so much scope to get creative, even when you don’t know very much about your ancestors. Let’s go back to that Wikipedia summary and use it for inspiration. Grab a pen and piece of paper, set a timer for 10 minutes and see what you can come up. … and the list goes on but you can see where I am going. The ideas for content are endless; it’s all about the approach. What I love most about this idea is that it isn’t just for adults. It’s a great way to include the younger members of your family, even if they aren’t writers. Allocate each person a few relatives and see what they can contribute. It might be a drawing, a poem, or even a joke. Or start them with their grandparents, aunts or uncles so they have the opportunity to interview the subject. Most importantly, have fun with the idea. Newspapers don’t have to be a set size so that issues can be as little as two pages. There will a page limit. The limit will vary depending on the finished size of the newspaper, as well as the paper stock used. Hard copies are permanent so there is no fixing errors once you print the newspaper. Proofread the edition carefully, especially if publishing a large volume for a family reunion. Microsoft Word or PowerPoint, Google Docs or Slide, or similar layout software. You want to use something where you can add text, photos, headers, footers and control margins and page size. Make sure you can export as PDF file for printing. If you need help setting up a blog, I’d recommend WordPress.com or Blogger. Both have great support, tutorials, and free plans. Are you going to be focus on one ancestor, a specific family unit or direct family line? What time period will you cover? How will you publish? Print or digitally? Who is getting a by-line? What columns and sections do you want to include? RECOMMENDED: Have you read my article on 5 planning tips for writing your family history? There is also a writing planner available in the resource library. 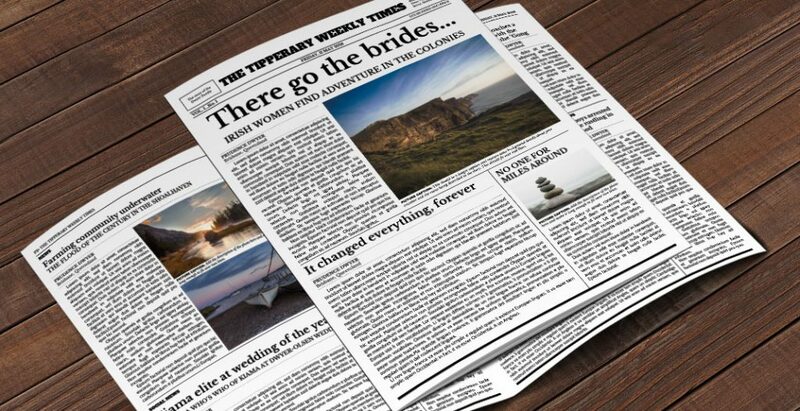 So, what do you think of the idea of creating a family history newspaper? I’d love to hear from you about what you think of this idea. Tell me in the comments whether you think a family history newspaper is a great ‘outside the book’ solution. Or if you have another idea that you’ve tried. I love this idea!! I did something similar years ago when one of my sons was at Army camp. He loved it!! He wanted more but it took a lot of time to create. I have recently connected with some 2 cousins I didn’t even know existed and I think our group may have a lot of fun with this idea. Thank you for sharing! I’m so glad it resonates with you. I made a newspaper for a niece’s 18th and it was a big success because you can be so creative with it. I hope your collaboration with your cousins goes well! I’d love to see what creative concepts you come up with to share your ancestor’s stories. 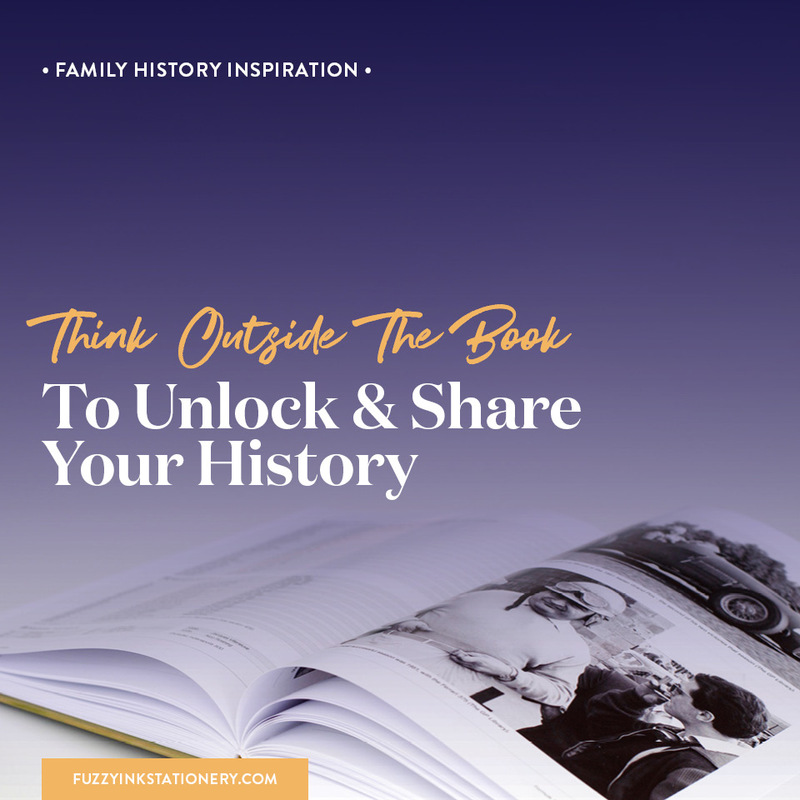 ​Use ​this ​FREE ​​Google Slides template to ​Think Outside The Book and start writing ​your family history as a newspaper. Write articles and create ads that tell your ancestor's story.